12th Women’s World Chess Champion and Chess Queen™ Alexandra Kosteniuk shows her very aggressive chess game against Swaminathan Soumya from the 2012 Istanbul Chess Olympiads. This game allowed the Russian team to win their match against India 3-1. The Russian women went on to win Gold at the 2012 Chess Olympiads. Chess Queen™ Alexandra Kosteniuk also won bronze on her board. The video was recorded thanks to the software Chess King. 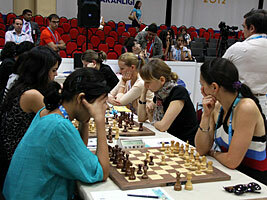 Read the full Istanbul Chess Olympiad 2012 post. Today we are presenting an important game from the 9th round of the women’s Chess Olympiads in Istanbul 2012, between Chess Queen™ Alexandra Kosteniuk and Swaminathan Soumya of India. The game is commented by Alexandra below. This game allowed the Russian team to win that match 3-1 and to go on to win the event. Read Alexandra’s post about the Istanbul Chess Olympiads here. The applet below is automatically generated from the chess software “Chess King” (use code “INTROKING50″ on checkout for a $50 discount). Chess Queen™ Alexandra Kosteniuk’s Russian team has won the gold for the second time at the Chess Olympiad. The 40th edition of the super team tournament concluded in Istanbul on Sunday. You can read reports and blog post by 12th Women’s World Chess Champion Alexandra Kosteniuk at www.chessqueen.com. Here is a position from Kosteniuk-Yanjindulam played in Round 3 at the 40th Chess Olympiad in Istanbul. White is positionlly better. Can you spot the strong magic move that will win the game? 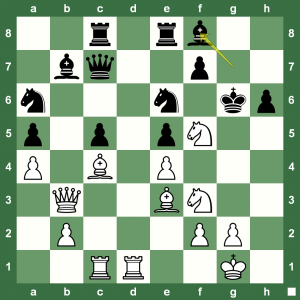 Istanbul Chess Olympiad Round 9: Can You Spot Nakamura’s Idea to Beat Kramnik? Nakamura-Kramnik: What happens if White plays 62.c8=Q? It was the game of Round 9 as Hikaru Nakamura of the US stunned Vladimir Kramnik of Russia to push Russia off the sole lead at the 40th Chess Olympiad in Istanbul. Black went for a Rook sac, a pawn roll down the center, and a King march, but Nakamura was unstoppable because the compensation was not enough for Black. At one point it did seem Black could claw back a draw. However, it was not to be. White even underpromoted to win! Can you see in the diagram on the left and figure out what happens if White plays 62.c8=Q? 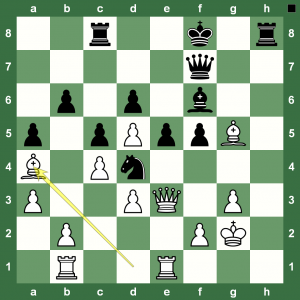 Check your answer with the Chess King applet and Houdini analysis. 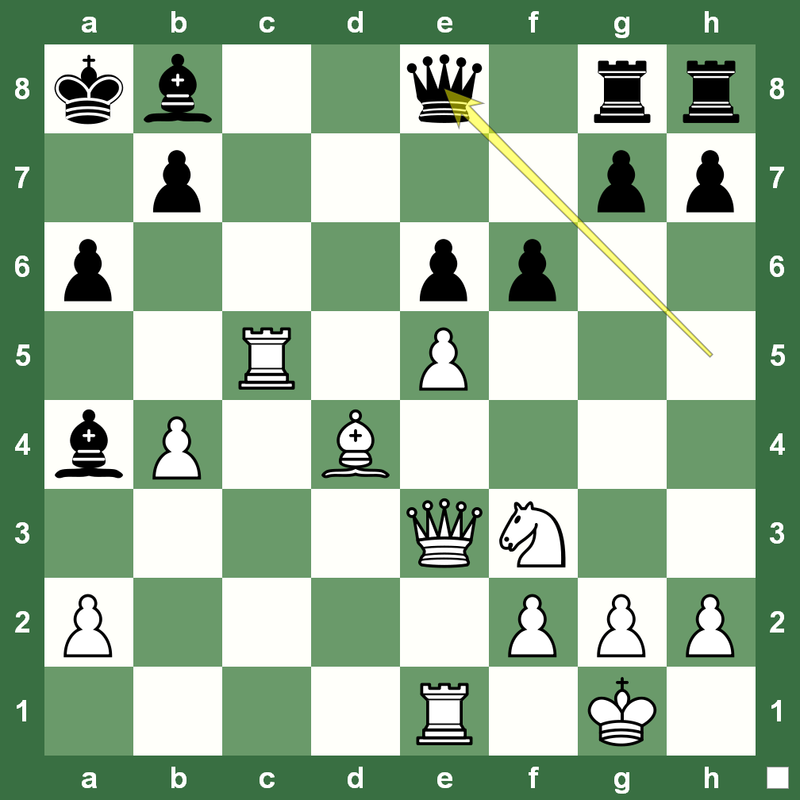 You can also replay the full game between the two powerful grandmasters in the Chess King board. 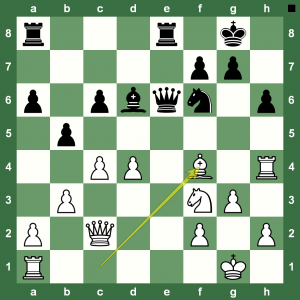 Istanbul Chess Olympiad R5: Did Negi let Short Escape? 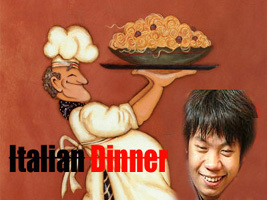 The Indian chess team has been performing way above their seeding at the Istanbul Chess Olympiad 2012. An interesting Round 5 match witnessed India take on England. On Board 3 were Asian Chess Champion Parimarjan Negi and his former teacher the stalwart GM Nigel Short. The match was not only important because of the teams’ overall results, but also because Short coached Negi for a long time in Greece during the beginning of the latter’s career. So, here was Master versus Pupil and both teams were depending upon the game. You can read the full round 5 report from the Istanbul Chess Olympiad on Chess Blog. Enjoy the fireworks and watch how to battle back from disaster in a chess game! What would you play here as White? The fifth round at the Istanbul Chess Olympiad 2012 saw fireworks all around. Some of those were on board one at the top table between Armenia and Ukraine. Levon Aronian broke Vassily Ivanchuk’s defences in a nice Queen’s Indian. This leaves Armenia and Russia in joint lead at the end of Round 5. Sunday was a rest day. Read the full report at Chess Blog. Meanwhile, here’s Aronian firing on all cylinders. Russia’s victory over China was surely the event of Round 4 at the Istanbul Chess Olympiad (Report on Chess Blog). After Round 4, Russia, Hungary, Ukraine, and Armenia are in joint lead. Will Russia win the gold this time? It’s a valid question considering that somehow, even though they always have the strongest team, the gold always eludes them! Here is the nice Alexander Grischuk game against Wang Yue that helped Russia beat China in Round 4. The other win was by Dmitry Jakovenko over In the position on the left Yue plays 24.Ba4. 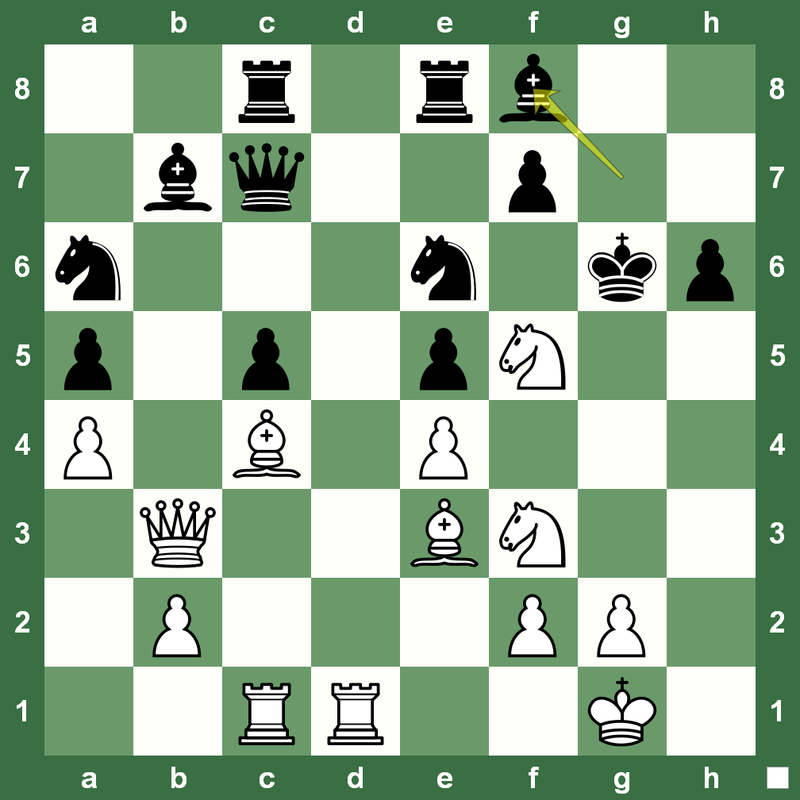 Can you think like Grischuk to win for Black? 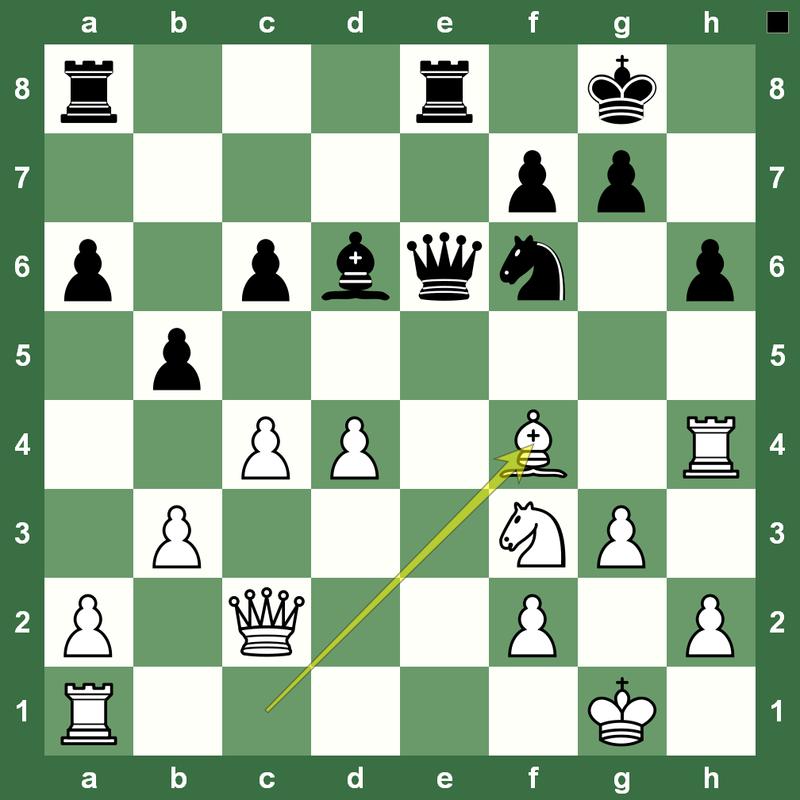 Cool Chess King Decree: GM Short Please Leave Your King At Home! Fantastic Chess King March in Middlegame – This Time Short vs Timman 1-0! Look at the chess position on the left. White has just played Bf4 and the fork is way too obvious with a g5. Though, the game is not immediately lost if g5 is played, but that’s the kinda swindle you gotta keep in mind when playing the Indians. 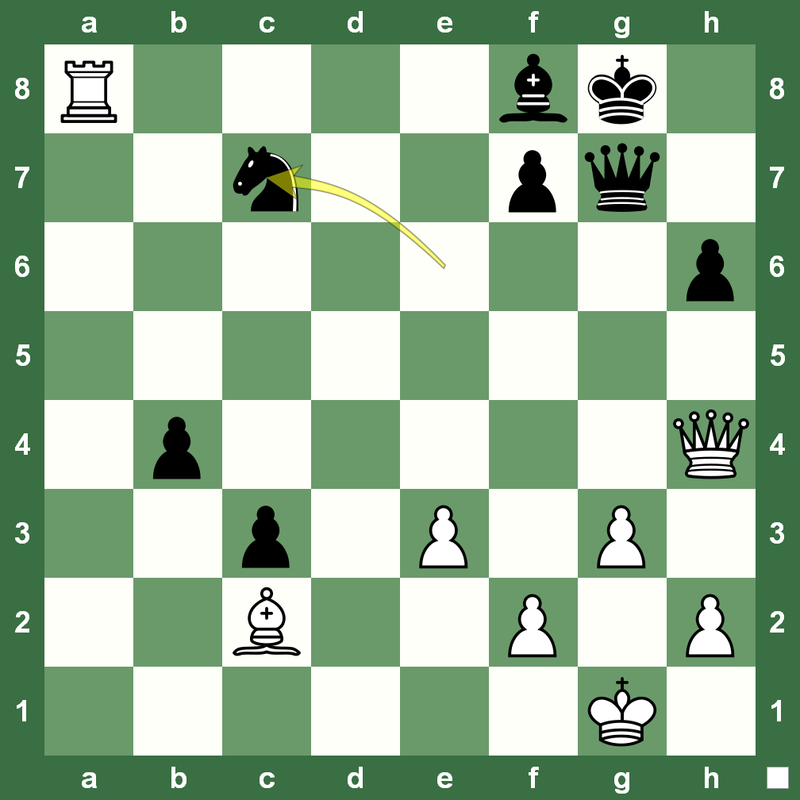 What do you think happened in this Harikrishna, P (2685) – Beliavsky, Alexander G (2609) game in the India – Slovenia chess match in the third round of the Istanbul Chess Olympiad 2012? Cross-check your answer with the full game in the Chess King super applet that works on any device on the planet. (We’re checking with Curiosity on Mars for inter-galactic compatibility.) All other games were drawn and this win gave India a crucial win over Slovenia. Nothing beats the cruelty of being ground down in a chess endgame. 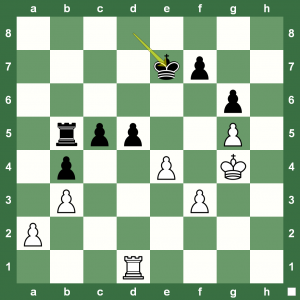 French Grandmaster Maxime Vachier-Lagrave went for an endgame lesson for Bulgaria’s Veselin Topalov in the third round at the Istanbul Chess Olympiad 2012. 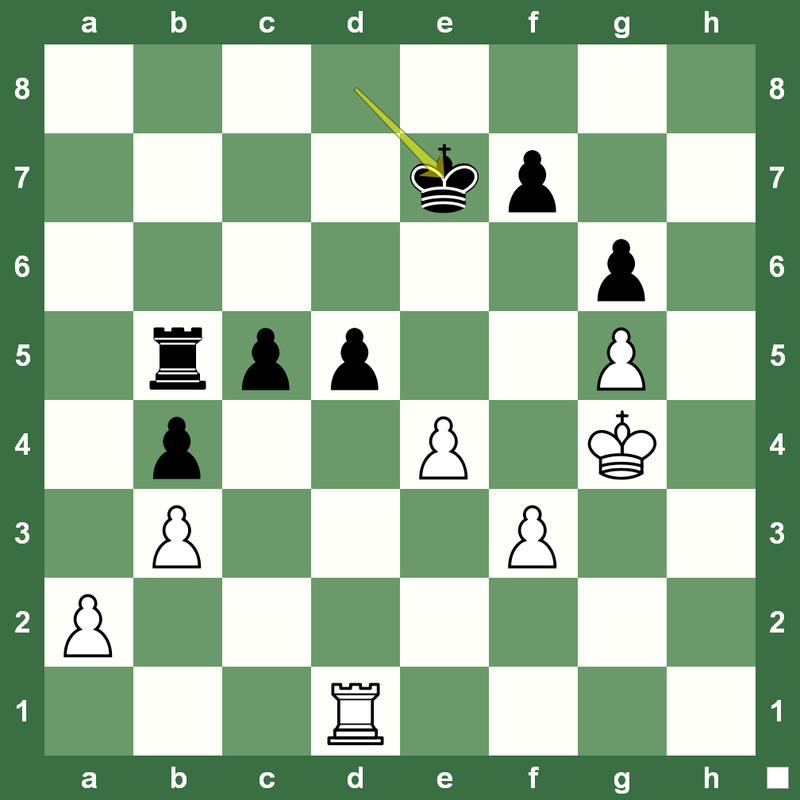 Pick up the game from Move 53 (black has just played 52…Ke7) as shown on the left and you would know what we mean! The big talk of the third round at the Istanbul Chess Olympiad was undoubtedly the match between defending champions Ukraine and Israel. 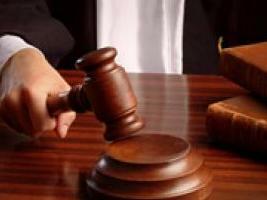 Ukraine was on the back foot and suddenly the tables turned! Ukraine beat Israel 2.5-1.5. 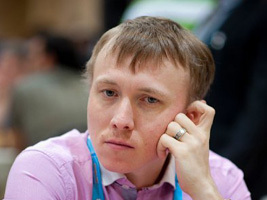 GM Ruslan Ponomariov (2734) on the second board was clearly going downhill, but he turned the tables on GM Maxim Rodshtein (2642). Things were not even all that bad around 22. … BxRe1. By the 25th move, White was almost cruising to a win. Even otherwise, a draw could have been in the offing as far on as at move 50.Nxb2, but 50.Rd2 was played and Ponomariov went into the big think. Soon, Pono was going from dead lost to taking his team home to the winning post! 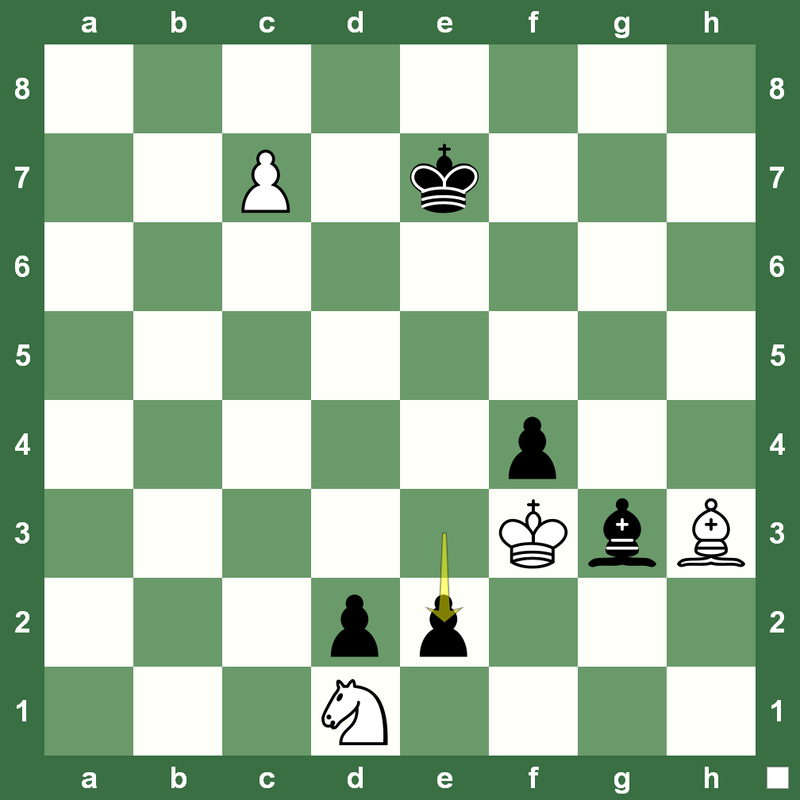 Watch the mating net that spun at the end of this exciting chess game. Such is the sorrow of chess: GM Vassily Ivanchuk lost this game to GM Al-Modiakhi and then sat looking at the pieces for half an hour says the official website. However, Ukraine did manage to beat Qatar 3-1. You can check a full Round 2 report from the Istanbul Chess Olympiad and videos at Chess Blog.